Gorgosaurus (or ‘fierce lizard’ in English) is a tyrannosaurid theropod dinosaur that lived in western North America during the Late Cretaceous Period between 76.5 – 75 million years ago. 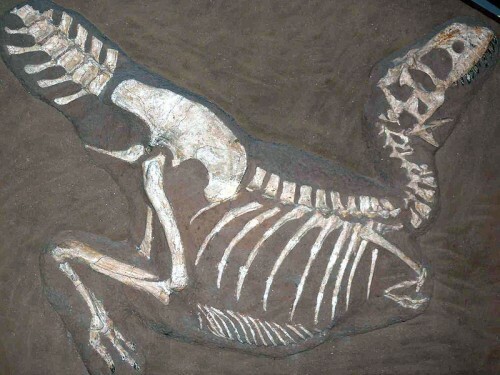 Fossil remains of the Gorgosaurus have been found in Alberta, Canada, and possibly Montana, USA. Just like most known tyrannosaurids, the Gorgosaurus was a bipedal predator that weight more than a metric ton as an adult. 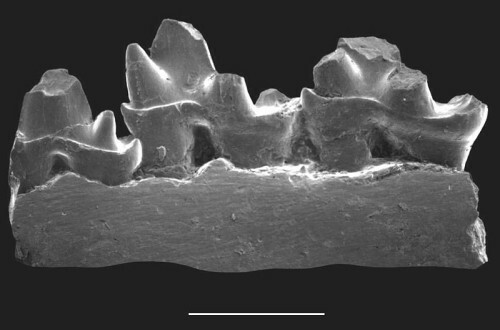 It also had dozens of large, sharp teeth in its jaws, but its two-fingered forelimbs were small in comparison. 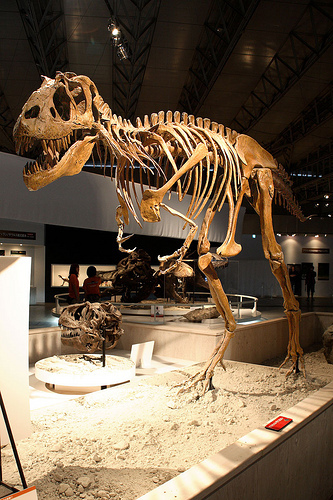 The closest relative to the Gorgosaurus is the Albertosaurus. The only difference between these two are that they have some slight differences in its teeth and skull bones. Some Palaeontologists actually consider the Gorgosaurus libratus to be a subspecies of the Albertosaurus. The Gorgosaurus lived in lush floodplains along the edge of an inland sea. It was an apex predator that was at the top of the food chain. It preyed on hardosaurs and ceratopsids. The Gorgosaurus is actually the best-represented tyrannosaurid in terms of fossil records, and many specimens have been found. Adult Gorgosauruses are 8 to 9 metres tall from snout to tail. It is estimated that full-grown adults weighed 2.4 tonnes. 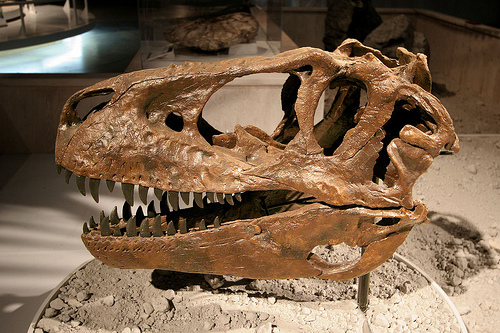 The largest known skull of the Gorgosaurus is 99 cm long. The skull was large compared to its body size. It had a blunt snout, and its parietal and nasal bones were fused along the skull. Its eye socket was circular instead of keyhole or oval shaped.